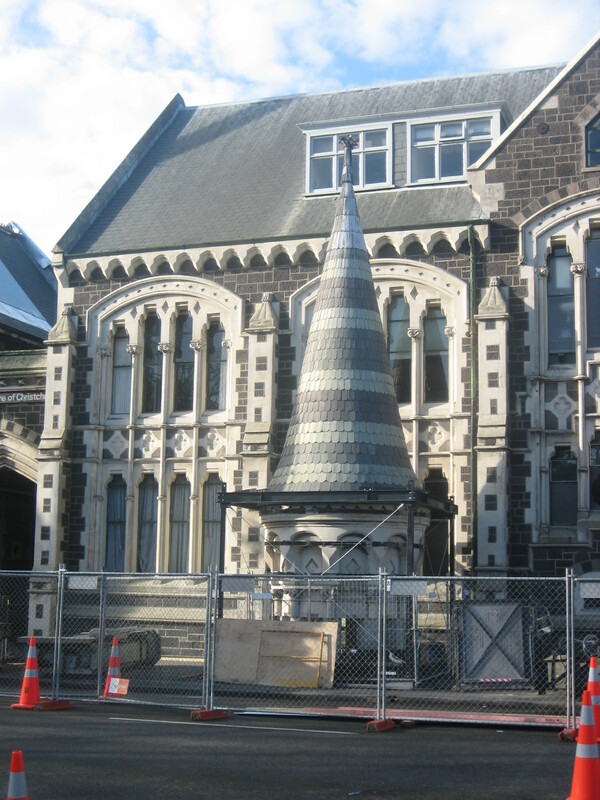 At the time we booked to go to Christchurch, New Zealand, there had already been a magnitude 7.0 earthquake on Saturday 4th September 2010, causing widespread damage to the city and minor injuries, but there were no direct fatalities. We were planning a round the world trip and Christchurch was one of our many stops along the way. We’re not ones to avoid researching a place before visiting, well, I say that despite leaving to travel Canada without a coat….but we did look into it and the damage wasn’t bad enough to be concerned about. Also there was plenty of time for the city to recover by the time we were going to visit. A month after booking the trip an aftershock measuring magnitude 6.3 struck the city on 22nd February 2011. Although it was smaller than the September earthquake, the intensity and violence of the ground shaking was among the strongest ever recorded globally in an urban area, with the death toll well exceeding 100. On 13th June 2011, less than a fortnight before we visited, Christchurch was again rocked by more powerful aftershocks, the largest measuring at a magnitude 6.0. However, by this time it was too late for us to avoid the city. We landed in Christchurch on 26th June 2011 in an airport barely affected by the quakes. We only spent two days in Christchurch and thought we’d planned well by staying away from the closed off city centre out on the coast in New Brighton, where we thought that they were less affected by the quakes. However, our driver decided to relay a story about how the houses we were passing were all being bought by the government, as the land had effectively turned to jelly, which had made all of the buildings totally unstable. Moments later he pulled up at our hostel…. There were portaloos everywhere and a sign in the hostel toilets that clearly until recently had said ‘do not use the toilets’, but had been changed to now say ‘do not use the toilets for number twos’. As it was winter I couldn’t bring myself to do it, as I believed many other people in the hostel did either. There were warning signs up on the beach to stop people going near the sea. The sewer systems were damaged and the sea had become toxic and too dangerous to go near. Though it was winter, therefore not really paddling season, it was thoroughly depressing that we couldn’t even go near the sea. The whole town felt deserted, shops were closed down and streets were eerily quiet. It reminded me of Niagara Falls out of season, but much more soul destroying. On our first night we were woken by an aftershock. Thankfully it was only a minor one that just shook the building and moved furniture across the room. However, with the devastating aftershocks that had occurred, the fear was in us that this aftershock could have the potential to kill us. Despite this, in my jetlagged, disorientated state the fear lasted barely a few seconds before I was back to sleep. The next morning we caught a bus to the centre of Christchurch. One of the main reasons we wanted to visit this city was to walk around the square, enjoy the beauty of the cathedral and ride the tram. We knew that the cathedral spire had fallen, the tram was out of the question and parts of the city were inaccessible, but we weren’t aware that the entire centre was still closed off. Buildings stood in crumbled states of disrepair, a small spire stood fenced off on the road next to its church and buildings had signs on their doors declaring whether or not they were safe. Though bitterly disappointed that the city centre was closed off, it was a humbling sight to witness and I’m grateful to have been able to see the reality of the city’s devastation. Even if it was only for a couple of days, we were able to catch a small glimpse of the daily struggles of the people whose lives had been turned upside down. Our short stay in Christchurch was not how we envisioned it and we felt sad that we weren’t able to enjoy it before the quakes ripped the city apart. This once vibrant and busy city had become a ghost town, with many people having left their homes and moved away (up to 50,000 residents had relocated to other parts of New Zealand or Australia by this point). I personally would have packed up and gone after the earthquake in February 2011, as daily life would have been too much of a a struggle. I understand why people stayed, after all, it is their home. Although with the city sitting on a tectonic plate maybe it would be better in the long run to just let go and rebuild the city in a safer region. Then again, that would be a lot of effort and the tectonic plate cuts right through New Zealand anyway. Christchurch was a disappointment, but only due to unforeseen circumstances that were out of its control. However, that doesn’t mean that we regret visiting. Neither me or my partner had ever been to a city that was trying to rebuild itself after a natural disaster and it made us realise how lucky we are.